Seasons and styles both come and go. Seasons always come back, and styles come back sometimes. It’s especially great when our favorites make their way back. 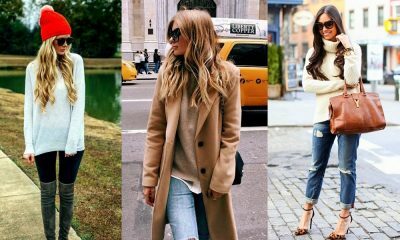 One trend that changes, but never goes out of style is the casual look. The fact that we can be stylish and comfortable is amazing. The look even works perfectly from season to season. With so many great outfits to choose from, it’s hard not to love them all. You can dress it up or dress it down, wear sneakers or heels. However you do it, you’re almost always sure to win. Casual isn’t always the easiest to do. With the term being so broad, it can be hard to choose just the right outfit for every occasion. When someone tells you to dress casually you might want to pull your hair out digging through your closet. Is this skirt too dressy? Are flip flops too casual? Sometimes it can be hard to tell. Luckily, we’ve got you covered. With looks you can wear every day, you won’t go wrong or feel stress next time a friend invites you somewhere and tells you the dress code you were dreading. When it comes to casual dress codes, jeans are a great go to. 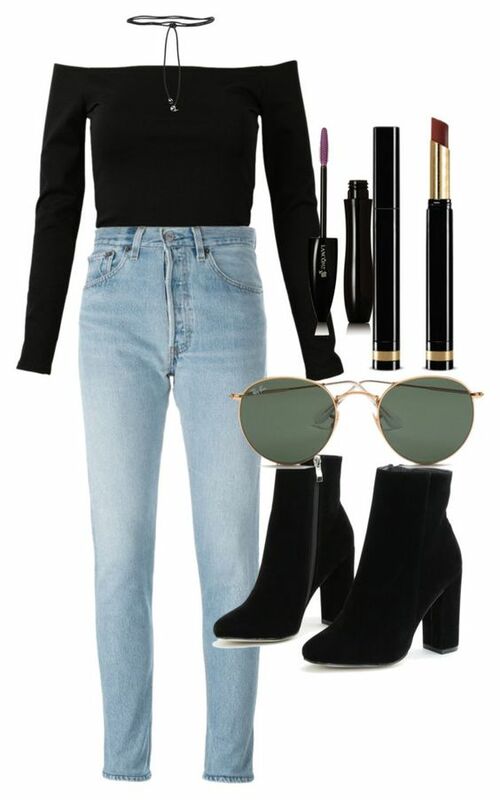 This classic combination pairs a sweater, white top, and flats with the denim, Add a bit of edge to the jewelry and grab a bright purse to match your sweater to make this look perfect. You can match different colors to find your favorite. A cotton dress might be next to diamonds on the list of a girl’s best friend. 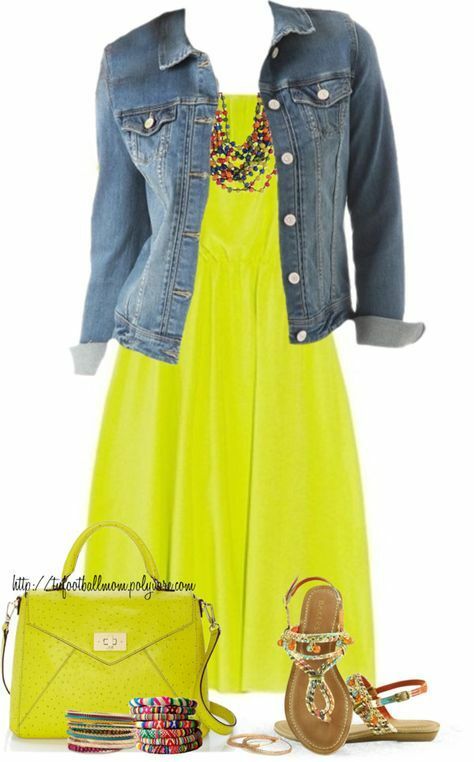 For girls who love bright colors, enjoy the thrill of this combination. Match your purse to your dress, and mix and match multicolored jewelry and shoes. Make sure they share a similar color to your dress so the colors don’t clash. Cotton shorts paired with a crop top and a light shirt over top makes for a great and easy go-to summer style. Leave your contacts in the case and rock your glasses. Add some layered necklaces for a little bling. Check out the latest hottest summer outfit ideas here. No matter what outdoorsy activities you have in store this summer, you don’t have to give up style to enjoy yourself. A crop top and denim shorts will keep you cool and comfortable, and your hiking boots will look good paired with your outfit. You can skip the jewelry on this one or add a watch if you’re ditching technology for a while. Leggings, a comfy tee, and your favorite sneakers make a great outfit for going to the gym. 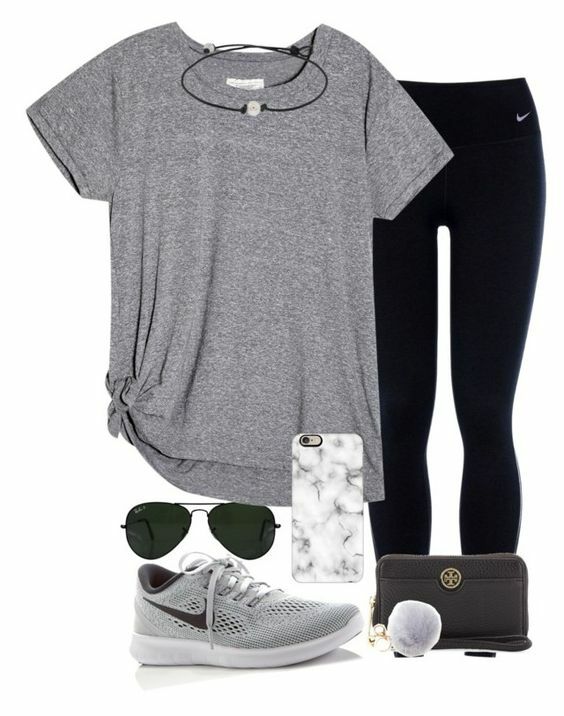 This outfit even works well if you are hitting up the mall before a workout. While this outfit is great, it isn’t recommended for a casual day at work. Skinny jeans aren’t the only type out there. Flared jeans are still hot and look great when paired with the right top. A pair of wedge heels still looks casual while dressing the style up. A skirt can be casual. Crazy, I know. A pair of sneakers and cozy sweater dress down a cute skirt and bring the look together. Loosely braid your hair or throw it into a side ponytail. You’ll feel cool whether you’re heading through a college dorm or walking the halls of high school. Neutral colors work great together for the most part. 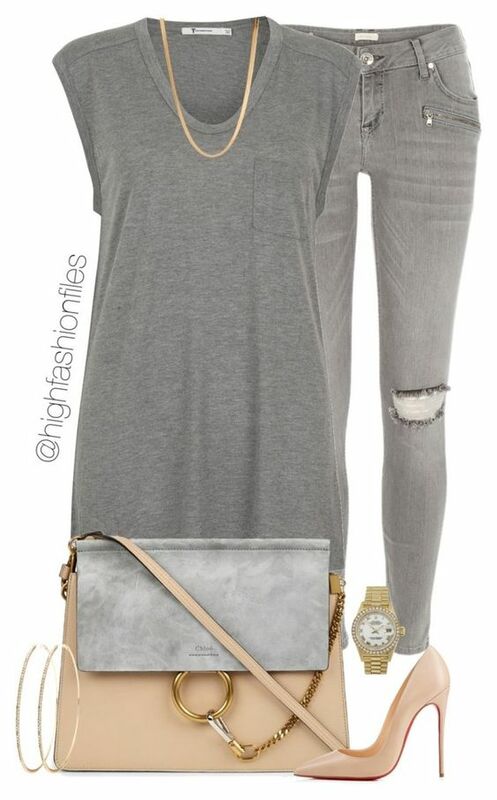 This gray on gray outfit mixed with beige pumps and a beige purse. Add some gold accessories to achieve the perfect look. Business casual can be one of the hardest of casual styles to figure out. What is over doing it and what is not enough? For this dress code its best to go with the more dressy side. A dress paired with a neutral sweater and tasteful jewelry will have you looking and feeling your best. When you go to the mall with your girls and have a date after, this outfit will work for both. Actually, it is pretty great for just about everything. 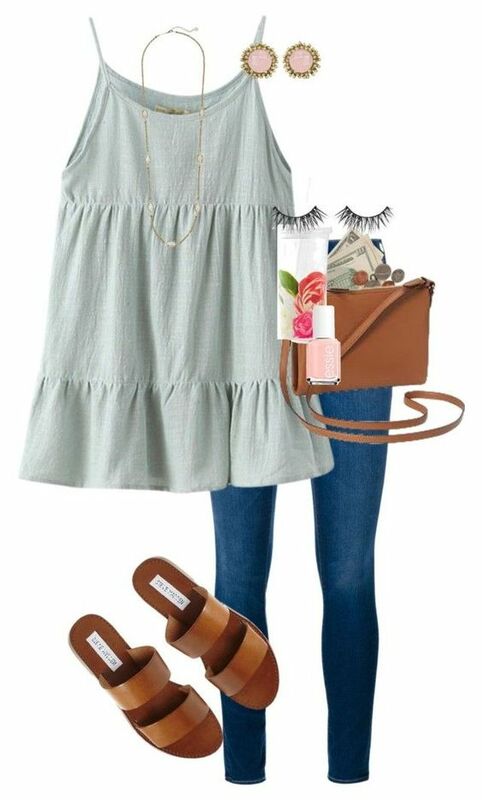 Jeans, a neutral top and some cute booties paired with simple makeup and accessories is a perfect look for any day. The nineties were kind of awesome, for the most part. Light washed jeans, suede boots and choker necklaces can still be rocked today. Throw in an off the shoulder top and some brown lipstick for the ultra blast from the past. 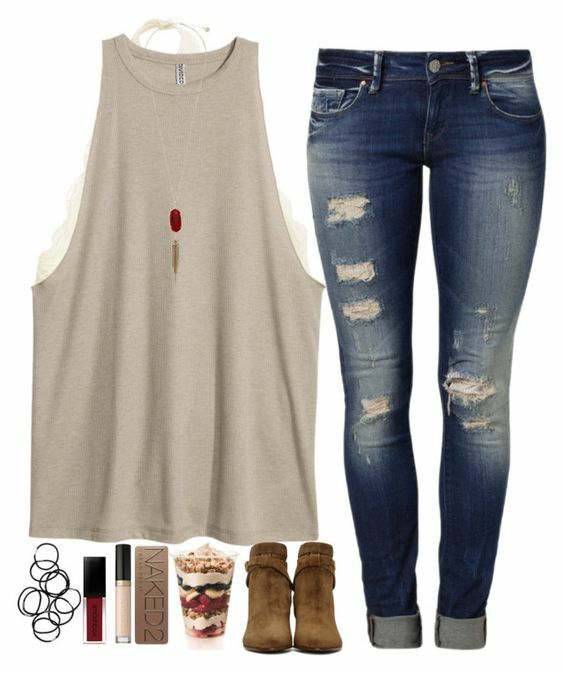 Try this jeans and tanktop outfit for a spring look. Keep the accessories pretty and add touches of your favorite spring color to jewelry and nails. Rompers are made for just about every season. This cute style is a great go-to outfit that is easy to work with.